Home | Blog | What Does “Gluten-Free” Pizza Mean? What Does “Gluten-Free” Pizza Mean? The term “gluten-free” has been en vogue for at least the last decade, as more and more people adopt a gluten-free diet. Surprisingly, though, many people don’t know what gluten-free means. Gluten is a protein composite typically found in wheat, barley, rye and other things. It acts like glue in foods, helping them hold their shape. Certain people can experience health problems if they consume gluten. For instance, there are gluten-related disorders such as gluten ataxia, dermatitis herpetiformis, celiac disease and non-celiac gluten sensitivity. What happens when someone who shouldn’t have gluten ends up consuming it? Typically, they’ll experience gastrointestinal troubles. It can irritate a person’s irritable bowel syndrome, rheumatoid arthritis, etc. Some naturally gluten-free foods include meat, fish, eggs, and vegetables. Since 2013, thanks to a FDA ruling, any product labelled gluten-free in the U.S. must not contain an ingredient that’s a gluten-containing grain or derivative thereof. One of the most popular foods on the planet is pizza. In the Buffalo area, pizza lovers know and love Bocce Club Pizza. Did you know Bocce Club Pizza offers gluten-free pizza? 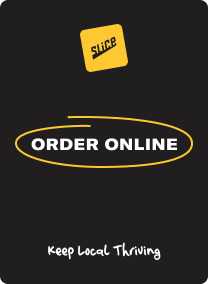 When calling to place your order, ask for that choice. Also, if you or someone you know lives in the Buffalo area and is dealing with wheat allergies, Celiac disease and other gluten-related troubles, please check out a helpful website known as The Western New York Gluten Free Diet Support Group, available here: http://www.buffaloglutenfree.org/home.html.